Disciplina: Seminário “Finanças, Comércio, e Inserção do Brasil. Bresser-Pereira, Luiz Carlos (2000) “Self-Interest and Incompetence”. Journal of Post Keynesian Economics 23(3), Spring 2001: 363-373. 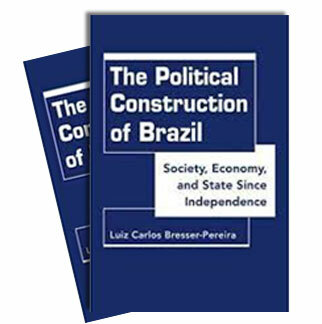 Bresser-Pereira, Luiz Carlos (2001) “Incompetência e Confidence Building por trás de 20 Anos de Quase-Estagnação da América Latina”. Revista de Economia Política, 21(1), janeiro 2001: 141-166. Bresser-Pereira, Luiz Carlos (2000) “Entre o Globalismo e o Velho Nacionalismo”. In Henrique Rattner, org., Brasil no Limiar do Século XXI. São Paulo: EDUSP, 2000: 39-55. Bresser-Pereira, Luiz Carlos and Jairo Abud (1997) “Net and Total Transition Cost: The Timing of Economic Reform”. World Development, 25 (6), June 1997. Rodrik, Dani (2000) “How Far Will International Economic Integration Go?” Journal of Economic Perspectives, 14(1) winter 2000: 177-186. Furtado, Celso (2002) Em Busca de Novo Modelo. São Paulo: Paz e Terra. Até pg. 44. Bresser-Pereira, Luiz Carlos (2002) “After Balance of Powers Diplomacy, Globalization’s Politics”. In Eric Hershberg and Kevin W. Moore. eds. Critical Views of September 11 – Analyses from Around the World. New York: The New Press, 2002: 109-130. São Paulo: Fundação Getúlio Vargas, Departamento de Economia, Texto para Discussão no. 113, julho 2002. Boyer, Robert (1996) “The Convergence Hypothesis Revisited: Globalization but Still the Century of Nations”. In Berger, Suzanne e Ronald Dore, orgs. (1996) National Diversity and Global Capitalism. Ithaca: Cornell University Press: 29-59. Obstfeld, Maurice & Alan M. Taylor, “Globalization and Capital Markets”, NBER, October 2001, http://www.nber.org. Helleiner, Eric (1995) “Explaining the Globalization of Financial Markets: Bringing States Back In”. Review of International Political Economy 2(2) Spring 1995: 315-341. 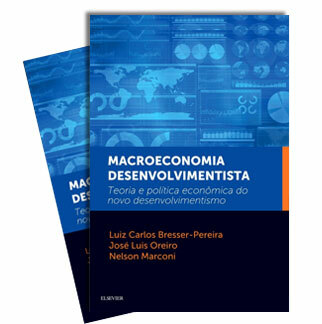 Bresser-Pereira, Luiz Carlos & Yoshiaki Nakano (2002) “Economic Growth with Foreign Savings?” Paper presented to the Seventh International Post Keynesian Workshop, "Fighting Recession in a Globalized World: Problems of Developed and Developing Countries”. Kansas City, Missouri, June 28 – July 3, 2002. Rodrik, Dani (1998) “Who Needs Capital-Account Convertibility”. In Stanley Fischer et all. (1998) Should IMF Pursue Capital-Account Convertibility? Princeton: Princeton University Press: Essays in International Finance no 207, May 1998: 55-65. Gourinchas, Pierre-Olivier, Rodrigo Valdés & Oscar Landerretche, “Lending Booms: Latin America and the World”, NBER Working Paper 8249, April 2001, www.nber.org. Fernándes-Arias, Eduardo e Peter J. Montiel (1996) “The Surge in Capital Inflows to Developing Countries: Na Analytical Overview”. The World Bank Economic Review, 10(1) January 1996: 51-80. Dooley, Michael, Eduardo Fernandez-Arias, e Kenneth Kletzer (1996) “Is Debt Crisis History? Recent Private Capital Inflows to Developing Countries”. The World Bank Economic Review, 10(1) January 1996: 27-50. Goldfajn, Ilan (2000) “The Swings in Capital Flows and the Brazilian Crisis”. PUC – Rio, Departamento de Economia, Texto para Discussão n°.422, abril 2000. Griffith-Jones, Stephany (2000) “International Capital Flows to Latin America”. Copy. Serie Reformas Económicas 55. López-Mejia, Alejandro (1999) “Large Capital Flows: A Survey of the Causes, Consequences, and Policy Responses”, IMF Working Paper, February 1999, www.imf.com.